Walking down the street in Seattle's Capitol Hill neighborhood, you can learn a lot about present-day Seattle. The street is lined with shops and restaurants ranging from sandwich joints to Japanese noodle houses. The cross walks are painted to look like rainbows. Everywhere, new apartments and condos are going up for all the up-and-coming developers and Amazon employees. And it's not unusual to get a whiff of weed as you round a corner. If the only thing you associate with Seattle is gray skies and rain, let me be the first to tell you that you're wrong. There's SO MUCH MORE to this Pacific Northwest city – including plenty of quirks. Sure, you'll find the Space Needle and a great waterfront here in Seattle. You'll find lots of art and food and history, too. But I think what makes me love Seattle so much is its quirkiness. Here are some of my favorite quirky things to see and do in Seattle. While you're there, be sure to spend some time visiting Pike Place Market, too – I love the fresh flowers, crafts, and of course the guys throwing dead fish around! Seattle's Fremont neighborhood is artsy and hipster, with lots of good food and some cute shops and cafes. 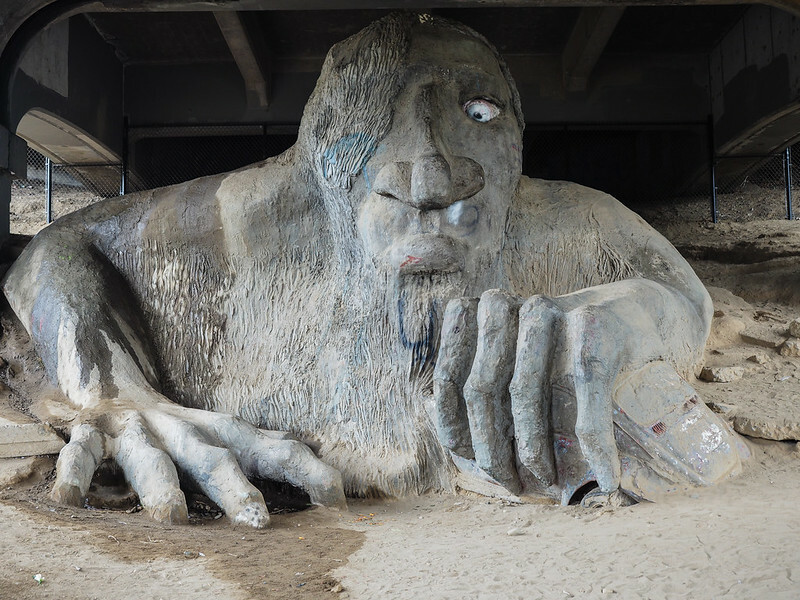 My favorite quirky attraction here is the Fremont Troll, an 18-foot-tall concrete sculpture of a troll crushing a VW Beetle under the Aurora Bridge. You can also check out the statue of Vladimir Lenin, topiaries shaped like dinosaurs, and the Theo Chocolate Factory in Fremont. Seattle is often referred to as “The Emerald City” – and no, it's not because you can get there by yellow brick road. The nickname comes from the fact that Seattle is quite a green city, with lots of trees and parks. Some of these parks are quite quirky in their own right! 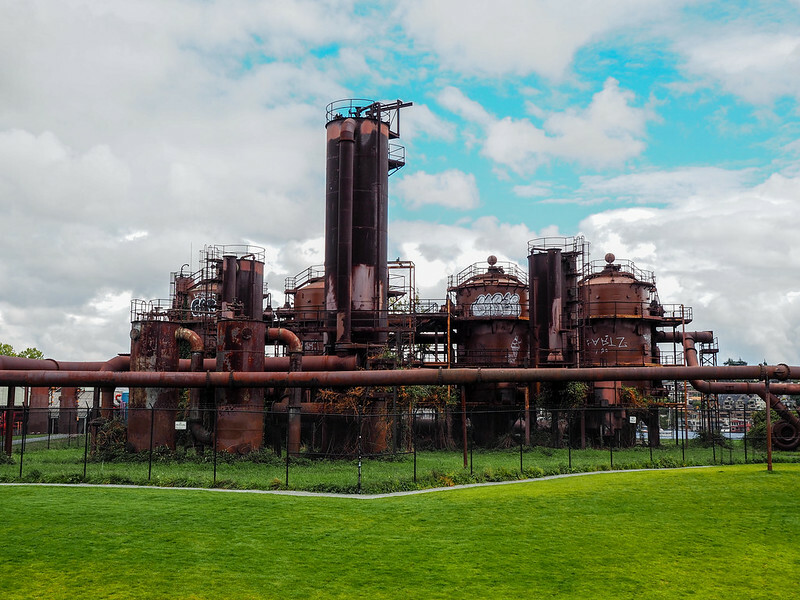 Located on the site of the former Seattle Gas Light Company plant on the north shore of Lake Union, Gas Works Park is green space with the rusting remnants of the old coal gasification plant at its center. Kind of random, but the park is cool and offers some great views back towards downtown Seattle. 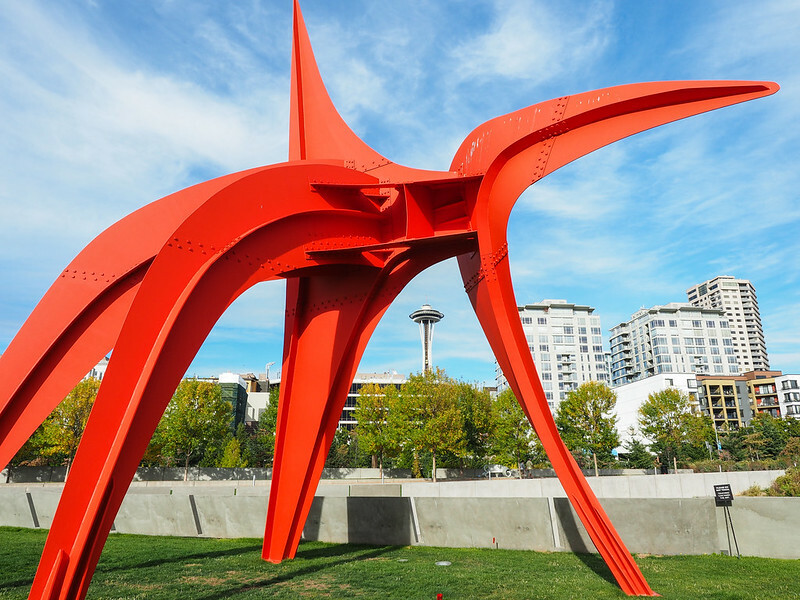 You'll find the Olympic Sculpture Park near the Port of Seattle downtown. It's an open-air public park along the waterfront dotted with contemporary sculptures. From here you get views of the Space Needle and Puget Sound, making it a great place to hang out on a sunny day. 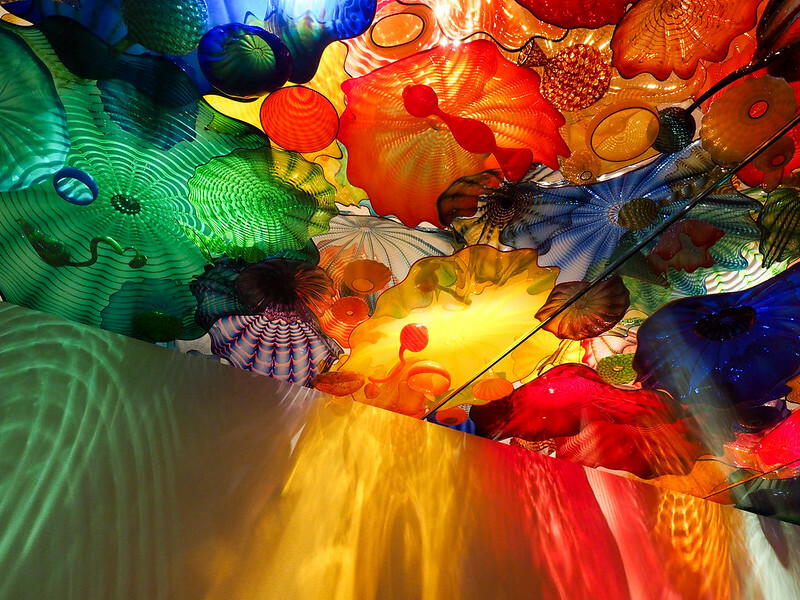 This isn't a park, per se, but the Chihuly Garden and Glass is a permanent exhibit in the Seattle Center showcasing the work of glass sculptor Dale Chihuly. 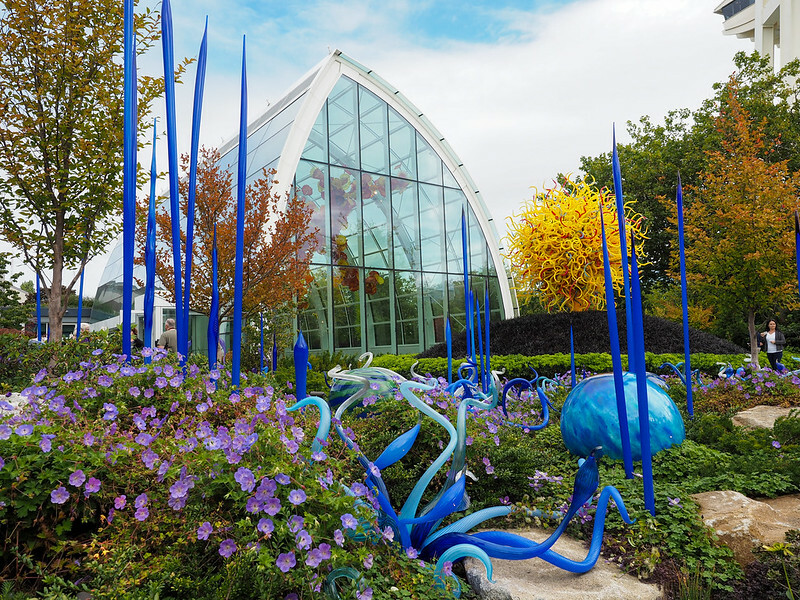 Indoors, you'll find illuminated exhibits made by the Washington-native, while outdoors you can stroll through a garden where more glass sculptures blend in with nature. It's all located just below the Space Needle, allowing for some very cool photos. If you like to mix your history with quirky facts and corny jokes, then Bill Speidel's Underground Tour is for you. 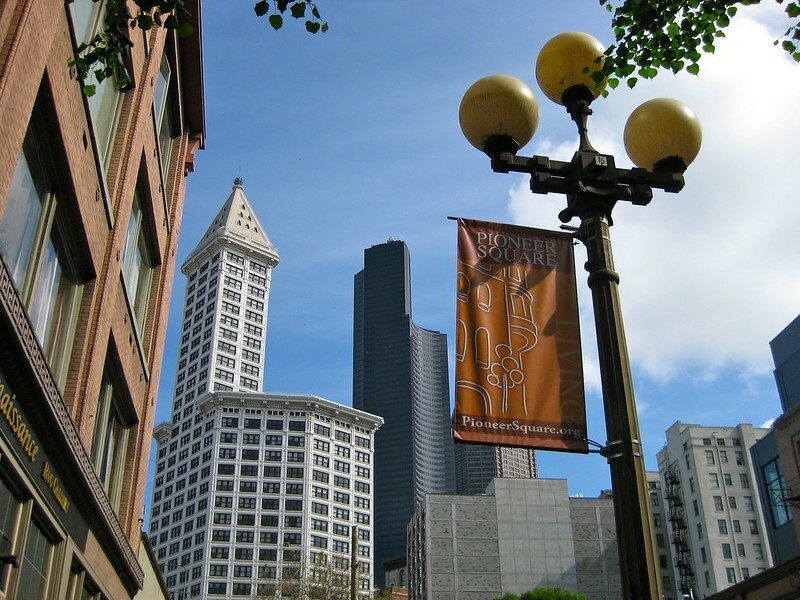 This tour in Seattle's Pioneer Square neighborhood takes you down beneath the streets of present-day Seattle to the streets of “old” Seattle, one story underground. The original city had been built at sea level and was prone to severe flooding. And then most of it burned down in the Great Seattle Fire of 1889. So, instead of re-building in a flood zone, Seattle was rebuilt one story higher, leaving the first story of many buildings intact underground. Its this part of the city you can visit on the Underground Tour. There are plenty of other quirky places in Seattle, too – like the Official Bad Art Museum of Art or Ye Olde Curiosity Shop or Archie Mcphee novelty toys – but these are some of my favorites. Would you seek any of these out on a visit to Seattle? Which of Portland's Top Attractions Are Actually Worth It? Omg the Gum Wall!!! So gross but I think I’d be fascinated to add a piece. All of my knowledge of Seattle comes from 12 seasons of Greys Anatomy. I’m not going to lie; it’s one of the reasons I want to go so bad. Haha! Gotta love Grey’s. Seattle is a really awesome city (even if McDreamy’s not actually in it) – I could totally live there! I forgot about the gum wall, LOL! 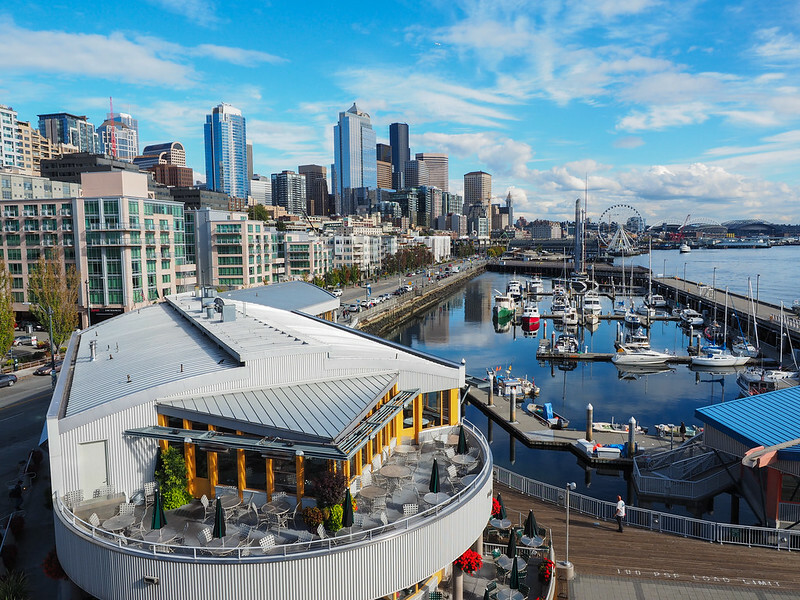 Seattle is a fun town, but has changed so much since I moved away in 2006…it’s grown exponentially and lost a bit of character, but still a super fun place to visit! It’s changed a ton since the last time I was there, too – I guess that’s what happens when a city is dubbed “the next Silicon Valley.” I still think I could live there, though. I actually love the average temperature there! I love the colours of the gum wall but yeah, gross. lol If I were to visit I think I’d wan to find the wackiest colour of gum to leave behind. 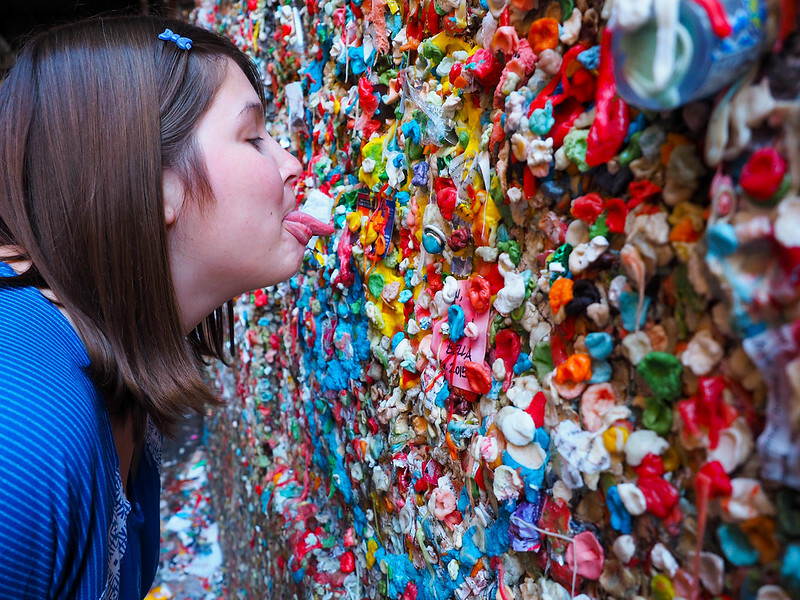 Wow haha, you put your tongue dangerously close to that gum wall! But Seattle seems like such a cool city, I’d love to visit! My boyfriend and I are always talking about where we want to live next, and the Pacific Northwest always comes up. Neither of us have ever been to Seattle, but we both always throw it around as an option for some reason. I could totally see myself loving it there! Haha, ah, what’s life without a little adventure (or, you know, risk of licking someone else’s chewed gum)? I totally can picture living in Seattle. The city is really cool, and I actually love the average temperatures! Though, it’s becoming a lot more expensive these days than it used to be! It’s definitely overrated but that doesn’t mean that it’s not worth seeing! Definitely for all ages. Don’t leave unless you add to the nasty collection! Haha, the Gum Wall, you mean? 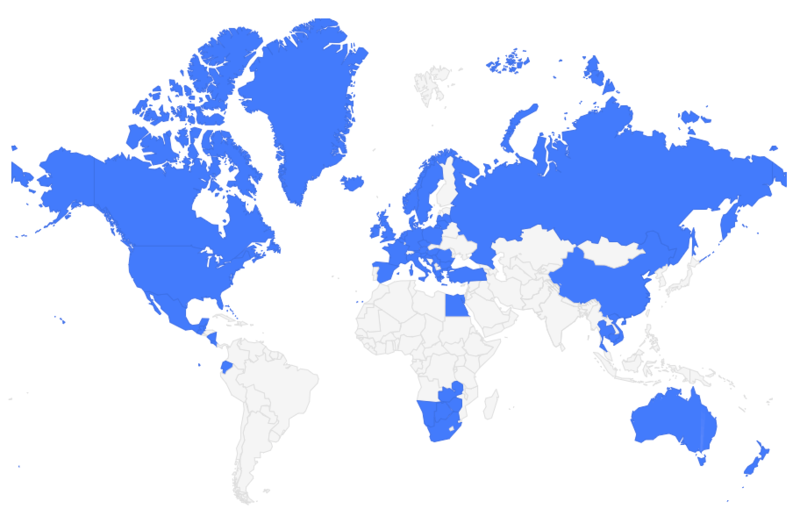 I thought it was fascinating! And yeah, you gotta leave some gum behind! Last time I was in Seattle we found the random sculptures as well…I know I have a picture with a pig and a giant lobster. My friend and I only found out about the underground tour on our last day, but it sounds like something that I would love. Next time! I did the underground tour a couple years ago and really enjoyed it! There’s history thrown in, but mostly it’s funny! Yep! Yep! Yep! Seattle sounds like just the type of place that I would love. Quirky disgustingness and all LOL! Haha. It certainly has its quirks (some grosser than others). I love it, though! Unfortunately you will have to HURRY if you want to see the gum wall…cleaning it all OFF next week! Yes I just read that today, too! I mean, on the one hand, I get it. But on the other, what a bummer! I love Seattle so much and would really like to live there someday! Ha, I just completely stumbled across this post on Pinterest! I have to check some of these places out next time, but I am amazed that I’ve never heard of the Underground tour!!! That is right up my alley! I wasn’t a huge fan of Seattle when I visited last month, but I was only there for a day and I’m hoping a second chance will redeem it. Loved Capitol Hill though, that was definitely my highlight and I found a park where the ground is painted like Pac Man! P.S. YOU GOT WAY TOO CLOSE TO THE GUM WALL! Haha! I was even being careful about where I leaned!